A little prevention and preparation using homework helper apps will improve your child’s school performance this year. By the time you read this blog post, school will have started in your community. Fresh school supplies are beginning to show some wear, and once clean backpacks are starting to collect small items portending a favorite place to stuff “things” in a hurry. Luckily, the kids haven’t outgrown their new clothes yet. September feels like the beginning of a new year as goals are set on a nine-month schedule whether you are in school or not. For parent’s, this time offers new opportunities to review old goals with your child and teacher and develop as part of their Individual Education Plan (IEP) adding an Individual Technology Plan focusing on utilizing both universal and assistive technology. Magic isn’t necessary to have a fantastic year, but the right plan and a few useful apps can make the difference in how your student performs this year. Have high expectations for the year and have a good idea to support those expectations. Remember even in elementary school we are preparing our children for life as an adult. 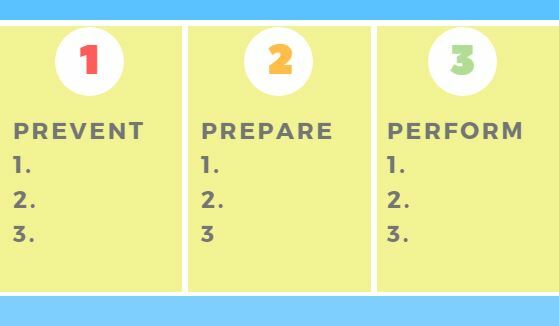 To get you started, here is a basic formula for keeping you and your family focused on the next year. Start with three columns on a sheet of paper or notes on a tablet. Label each column with one of these three words. Prevent. Prepare. Perform. List in the Prevent column ideas that can help prevent morning meltdowns and homework headaches. 1. Start a healthy routine. Early to bed is a must. A well-rested student would have a much better chance of success if well rested. 2. Rein in the technology and TV. 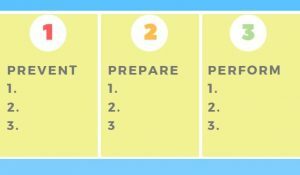 Talk with your student about what seems to be the right amount of time for these activities. Chat with them about what getting outdoors, signing up for a unified sports team, or music and arts events. These extracurricular activities are enriching to their school experience. 3. Talk with educators and our team about what apps might work specifically for your students learning style and needs. Many of the accessibility features already built into your child’s device can accelerate their ability to perform in the classroom. 4. Think low tech solutions, too. Some students with mobility disabilities may need more time to complete assignments. Negotiate with the teacher. Suggest using the Pictello app for giving classroom presentations. Ask the teacher if your student can partner with another student to present on a particular assignment. This collaborative effort builds classroom participation and teamwork. For those students experiencing sensory challenges quiet time or a specific space for noise levels are reduced can be established early in the year. Building in a smart and comfortable structure early in the year and it will prepare your student for their optimal performance. Stay connected to your student. Keep communication lines open. Actively listening to student and teacher concerns and frustration doesn’t take long. It just takes showing empathy, listening with non-judgment, understanding, and feeling. Hopefully, you already have it. Trust is the secret ingredient for improving accelerating student achievement. Set goals. Add incentives which are meaningful to your student. Make it fun. Add music to mundane and tedious activities. Mozart, marching music and any music with a good upbeat will stimulate the brain for higher performance. You can use a song repetitively encourage your student to finish the activity before the end of the song. Our children tend to respond well to a predictable structure eventually as they learn to manage how much time they have to finish an assignment. Chart your student’s progress. Visual prompts work well. Check out some of these homework apps. Also, work with your student’s teachers regarding the accessibility features of Google Classroom. Education expert, Robin Pegg has some excellent ideas to help accommodate various learning abilities improving classroom performance. Start teaching your student about SMART Goal Setting. Mikelle and I have used this for nearly twenty years. Smart Goals are short, easy and quite useful tool. Another fun app is the Kahoot app which assists students to stay focused on assignments using game-playing strategies. Great for that student who loves to game. An additional app to help with challenging classroom is using ClassDojoI with your student’s classroom teacher. 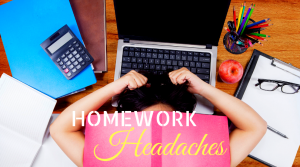 We hope these tips on Prevent, Prepare and Perform eliminate those homework headaches (since homework is tied directly to a goal) and manic mornings meltdowns by being prepared the night before!